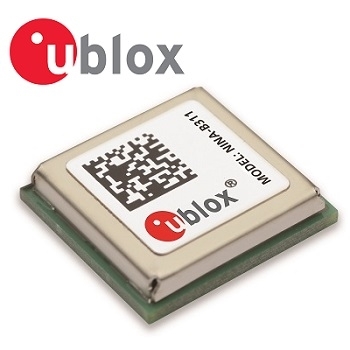 u-blox has launched its full Bluetooth 5 compliant NINA-B3 wireless MCU (microcontroller unit) module. Featuring Bluetooth low energy long range connectivity, high data transfer rates and supporting Bluetooth mesh and 802.15.4, NINA-B3 caters to applications in smart buildings, smart cities, and the Industry 4.0, including smart lighting systems, industrial sensor networks, asset tracking solutions, and building automation systems. It is based on Nordic Semiconductor’s nRF52840 chip. The full Bluetooth 5 NINA-B3 module is available in two flavors. The first variant, NINA-B31, comes pre-flashed with u-blox’s Connectivity Software, the most feature-rich and easy-to-use on the market. 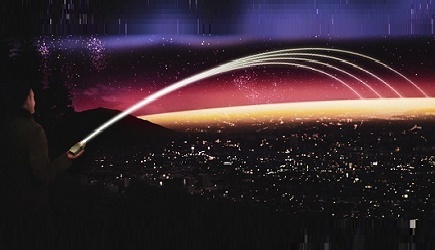 For product developers, eliminating the need for embedded programming means smoother, hassle-free integration and accelerated time-to-market. And u-blox’s proprietary secure boot ensures that security needs are met, even for the most critical industrial and medical applications. The second variant, NINA-B30, gives customers a broader scope of application thanks to Bluetooth mesh and Thread support as well as access to a whole host of wired and wireless interfaces. Its powerful Cortex M4F microcontroller can run advanced applications right on the module, reducing external hardware needs and, ultimately, shrinking end device size and cutting costs.